Afternoon Tea at Mottram Hall, Cheshire: You’ll all know by now that I’m partial to a fabulous afternoon tea. This week I had the pleasure of enjoying Afternoon Tea at Mottram Hall, Cheshire with my oldest pal, Gina. 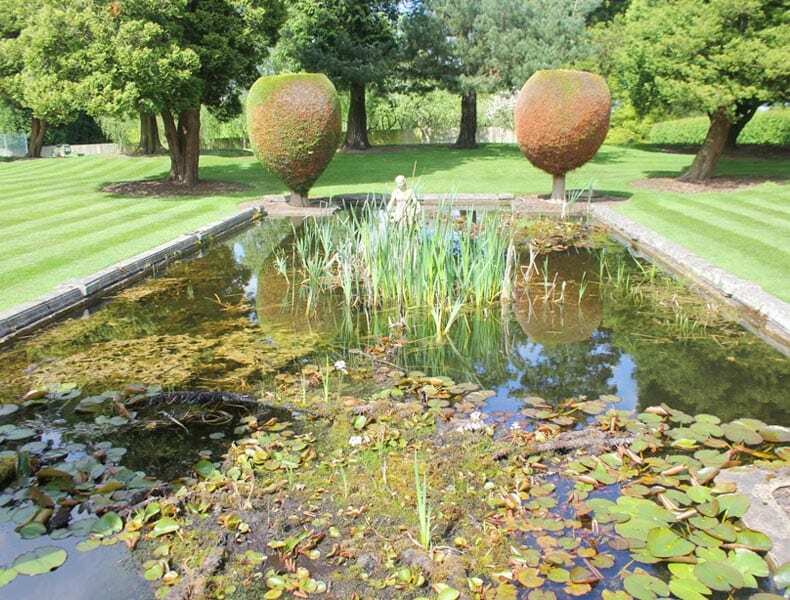 We drove to Mottram Hall from Knutsford admiring the scenery and catching up on life. The drive up through the grounds of Mottram Hall is picturesque with its sprawling golf course and tree lined driveway. 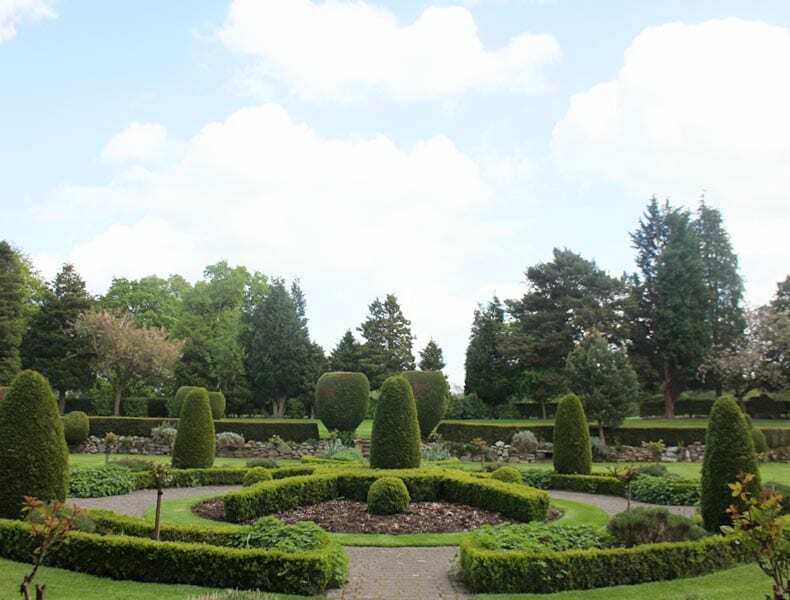 Mottram Hall stands proudly in 270 acres of rolling, luscious green Cheshire countryside. 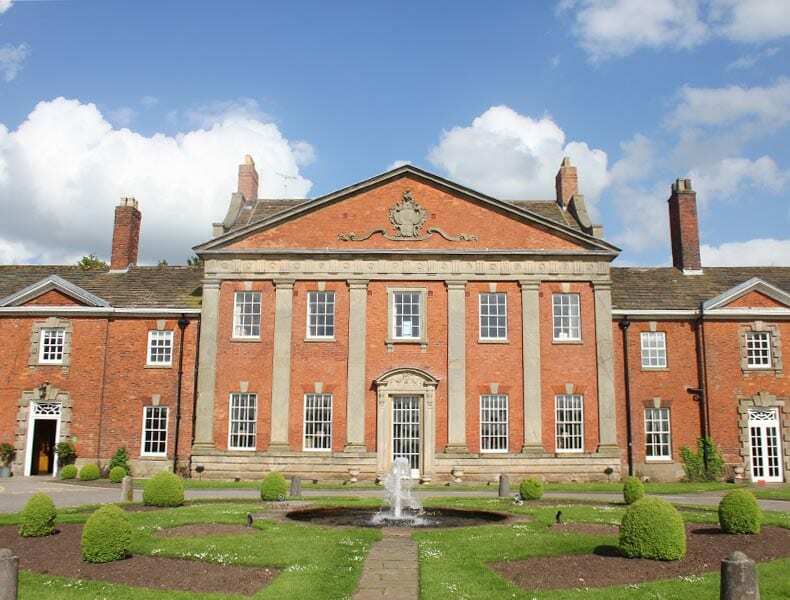 Former country house, Mottram Hall dates back to 1750, since the 1940s Mottram Hall has served as an exclusive hotel. Mr T and I attended a splendid wedding at Mottram Hall last summer, so I knew I was in for a treat. As we were having Afternoon Tea, I thought it only right to don a 40s style tea dress. 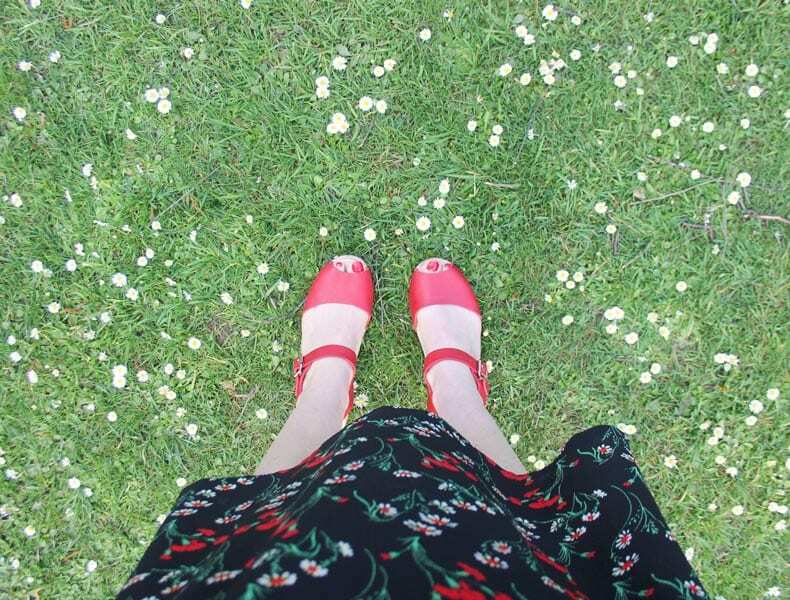 I wore the floral Cassidy Floral Midi Tea Dress from Joanie and my Lotta from Stockholm clogs. 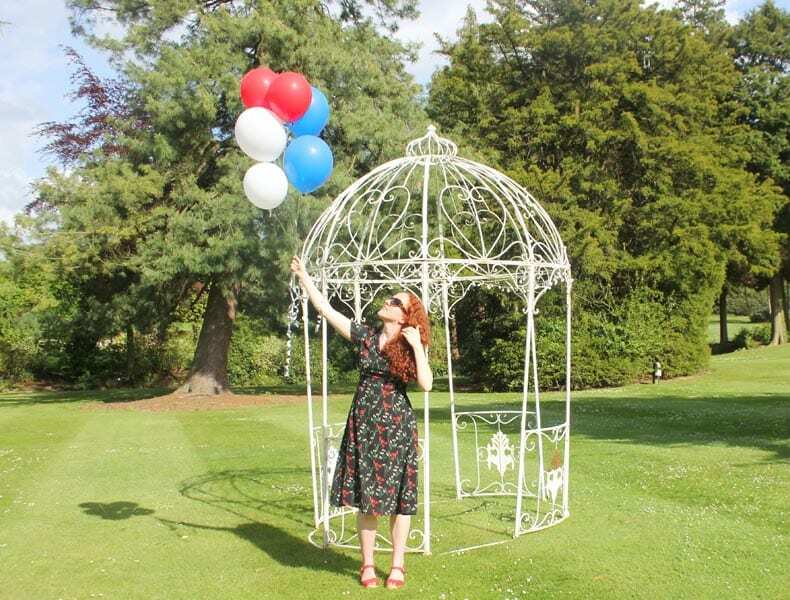 I love that the Cassidy Tea Dress has pockets and is a midi length, oh and the floral print matched the daisies in the grounds of Mottram Hall. 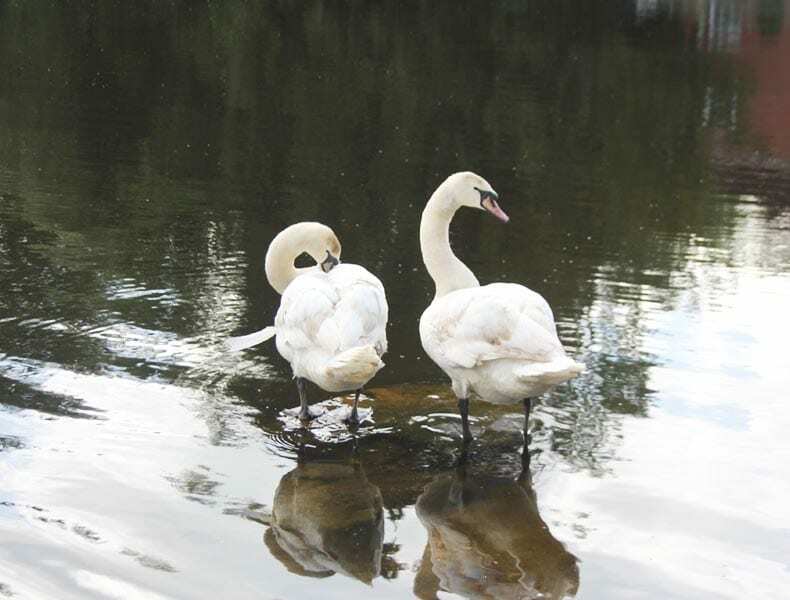 Mottram Hall is a vision of elegance with beautifully formal gardens and lake complete with resident swans. Before we were seated for Afternoon Tea we took a stroll around the grounds admiring the formal gardens, the pond and pink blossom. We were seated in the Garden Room which is a bright, light elegant space with windows down one side of the room looking out over the pretty gardens. 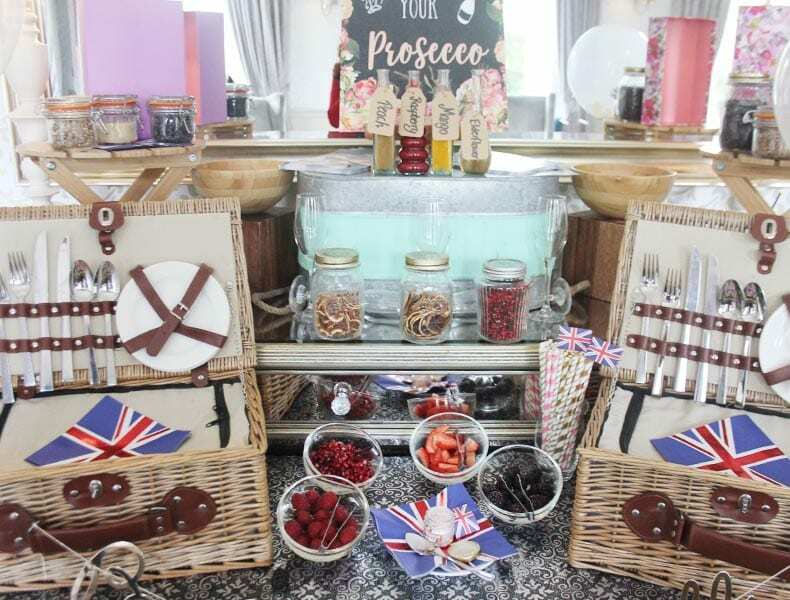 There was a jolly impressive ‘pimp my prosecco’ station set up with fresh fruit, syrups and various accoutrements. 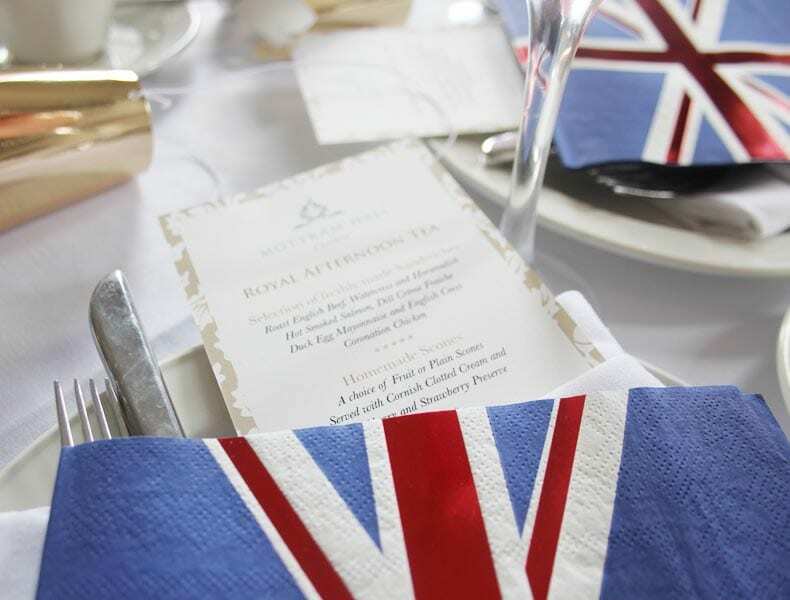 Mottram Hall have introduced their very own bespoke tea ‘Mottram 40’ in celebration of the year that the Manor House became a hotel. ‘Mottram 40’ is made up of a premium blend of Assam, Ceylon and Darjeeling leaves. 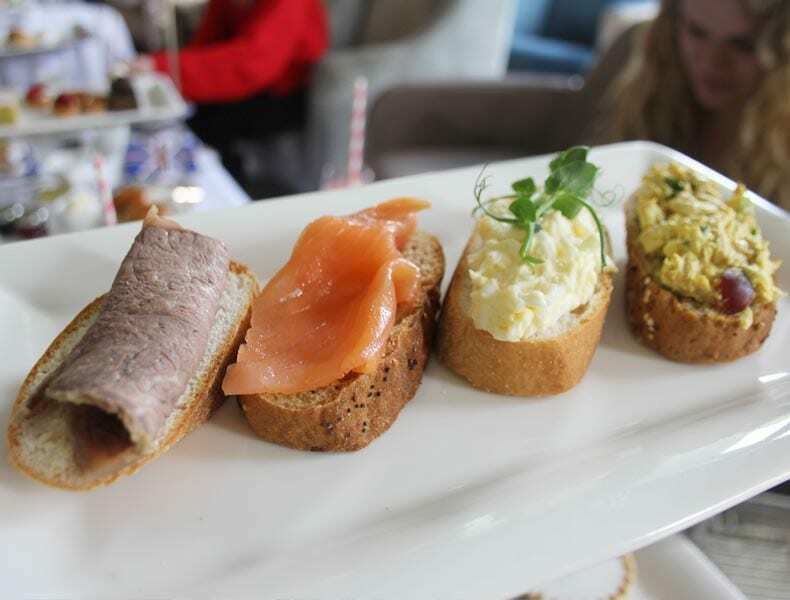 The Afternoon Tea selection of open top sandwiches and freshly baked scones was delicious. 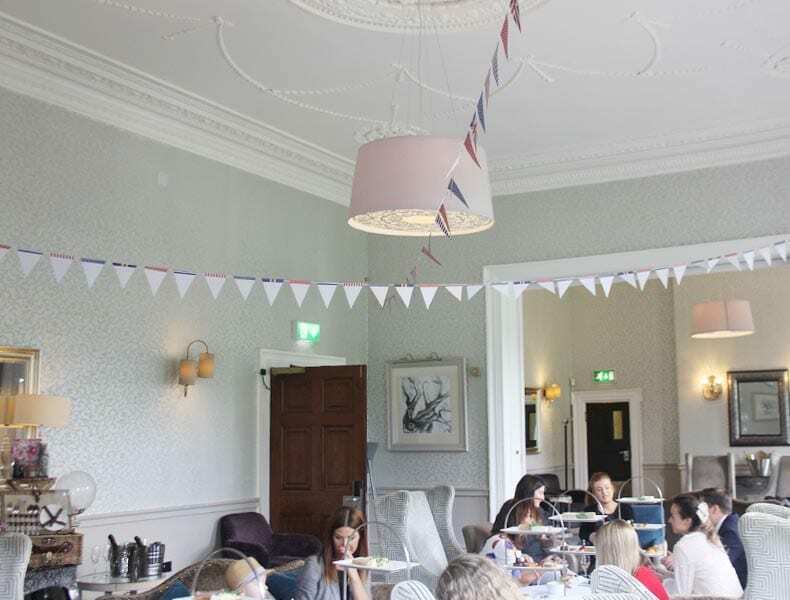 As I’m gluten intolerant this can often make indulging in afternoon tea a little difficult, however at Mottram Hall there was no fuss and my needs were catered for with ease. I was very impressed by the seamless service and accommodating staff. 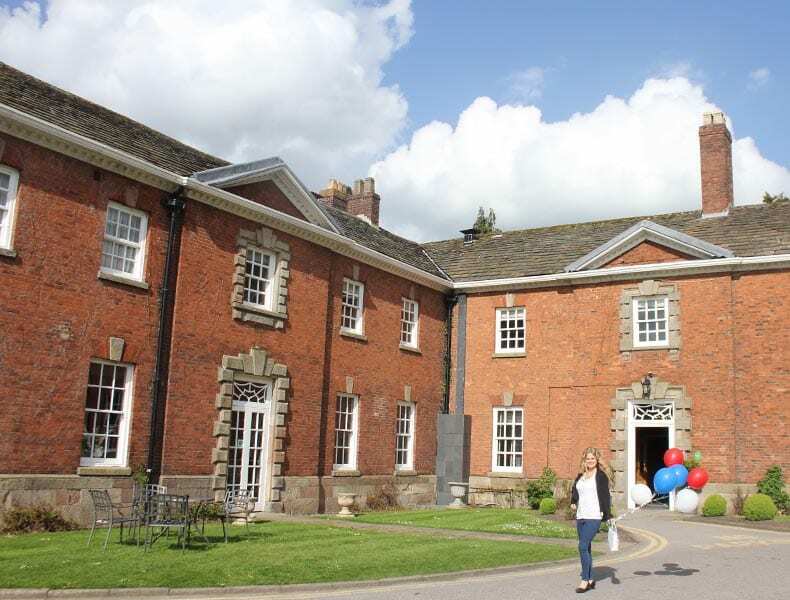 We’re already planning our next trip to Mottram Hall, maybe next time we’ll indulge in a spa day!